Number one on our list of caravan indulgences has to be the spa bath, which was first fitted to the Van Cruiser Grange in 2015. Yes, from Bourke to Birdsville, you can melt away your troubles in the privacy of your own spa bath. It goes without saying, of course, that you’ll need to be hooked into town water! You’ve heard of smartphones, but what about smart caravans? Yes, some modern caravans are fitted with touch-pad control systems, allowing you to remotely monitor and control the van’s electrical systems from your phone, from the water tanks to the sound system. 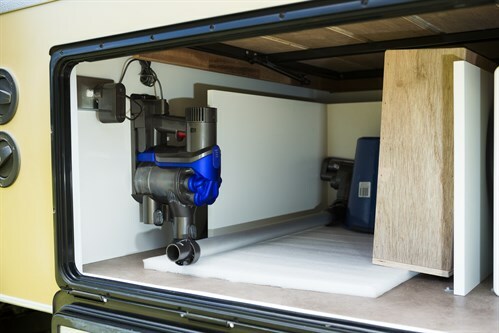 Did you know you might be able to specify a built-in vacuum cleaner in your next new caravan? This has been available as an option for some years now, though it’s rare they’re fitted as standard. Who wants to be doing the vacuuming when on holiday, anyway? 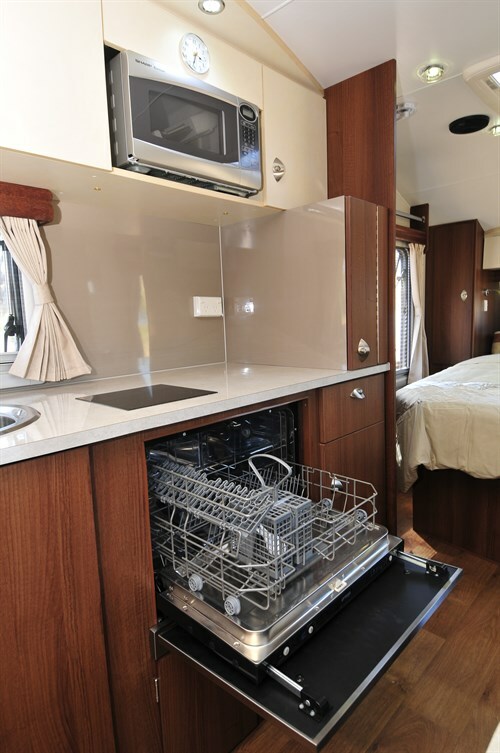 We first encountered a dishwasher in a caravan in 2010. Considering built-in washing machines have become the norm, perhaps dishwashers were the next logical step. What do you think? 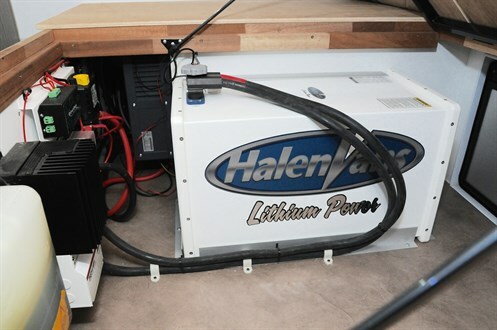 We’re the first to admit that lithium batteries have considerable practical applications and advantages for caravanning. A 200Ah lithium battery, for example, could put out the equivalent power of three 115Ah AGM batteries and weigh only 35kg instead of 100kg-plus. But lithium batteries make our list of ultimate caravan indulgences because of what they allow caravanners to do: efficiently run the 240V coffee machine, toaster and even the hair dryer in the back of beyond, not a mains powerpoint to be seen.